Orthodontic elastic bands usually enter the treatment process after patients have been wearing their braces for 4-6 months. 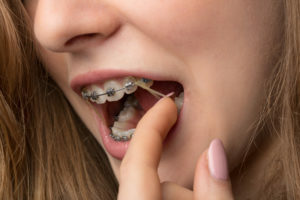 Orthodontic elastic bands are a necessary part of the treatment process for some patients because they provide the connective forces needed to move your jaws and teeth into proper alignment. 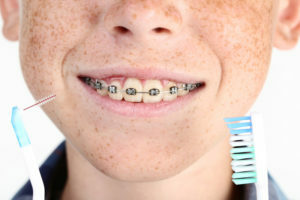 They can’t do their job if you don’t wear them so make sure if you are instructed to use orthodontic elastic bands during treatment that you commit to wearing them. 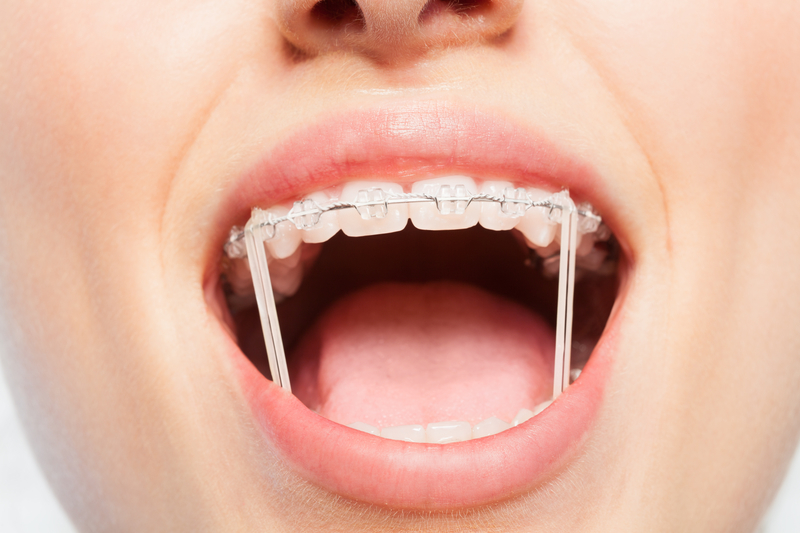 Not wearing them will delay your treatment, prolonging your stay in braces. Learn more about how these little bands do big work for your smile! When your dentist refers to your orthodontic elastics, he could be talking about two different kinds of orthodontic elastics. Ligatures are the rubber elastics that go around your brackets that help the archwire stay in place on your brackets. These ligatures come in all kinds of colors that you can choose to compliment your smile during treatment. Ligatures work to push or pull teeth in the directions they need to go during treatment. Rubber Bands are a larger form of elastic that are employed to apply pressure to the jaw to help achieve proper alignment of your bite. Rubber bands can be inserted in several different configurations to meet the connective force requirements you need. The most common configuration is the inter-arch, or top-to-bottom, configuration. Rubber bands also come in a variety of colors to spice up your smile! Orthodontic elastic bands pull your jaw forward or backward depending on what movement you need to achieve proper alignment. Your upper teeth and lower teeth should line up and fit together comfortably when you bite down. 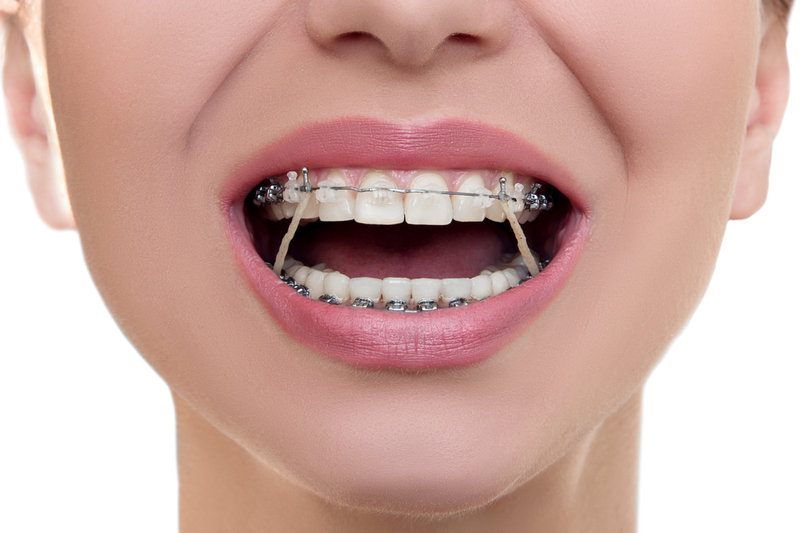 Rubber bands accelerate the moving/straightening process and are an essential part of orthodontic treatment. If you want to get out of your braces on time (or possibly earlier) wear your orthodontic elastic bands the prescribed amount of time–not more, not less. Typically, elastic bands will need to be worn a minimum of 10-12 hours, but for some patients, they need to be worn 24-hours and only removed for eating and cleaning/caring for your braces and teeth. Some patients get overly excited about the power of rubber bands and mistakenly think that by doubling up on their bands they can move their teeth more quickly and shorten treatment times. Too much force, too quickly can damage tooth roots and actually stretch-out the amount of time it takes to move your teeth. Wear your orthodontic elastic bands how you are instructed and you will move along without any problems. Choosing the colors of your elastic bands is an exciting part of the treatment process. Reaching a point where you are ready to use elastic bands also means you have arrived at one of your important treatment milestones. Orthodontic elastic bands get you that much closer to achieving your healthy smile rewards! As with anything new, it is common to have some anxiety at incorporating a new skill/habit into your orthodontic treatment. Before you know it, you will be a pro at using them and won’t even really notice that they are there working for you. Soreness of your jaws, mouth and teeth is normal for the first few days after adding orthodontic elastic bands to your treatment routine. Stick to it, the discomfort will go away after your mouth adjusts to this new tool. 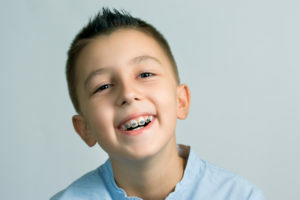 Orthodontic elastic bands are an important part of your orthodontic treatment. They are an essential tool for moving your teeth and jaw into the proper alignment. When it comes time for you to start using them, we will make sure you understand how to use them and how often to use them. Our office is committed to helping you enjoy your time with braces and is available to answer questions at any time. Please contact our office today if you have questions about your current (or future) orthodontic treatment. We are happy to answer your questions, and we can help you schedule a one-on-one consultation with Dr. Hardy to discuss your unique orthodontic needs and goals.